Penderyn are delighted to announce a new whisky which will be exclusively available in travel retail outlets, such as World of Whiskies (London airports initially) and the World Duty Free outlets in Bristol and Cardiff airports. 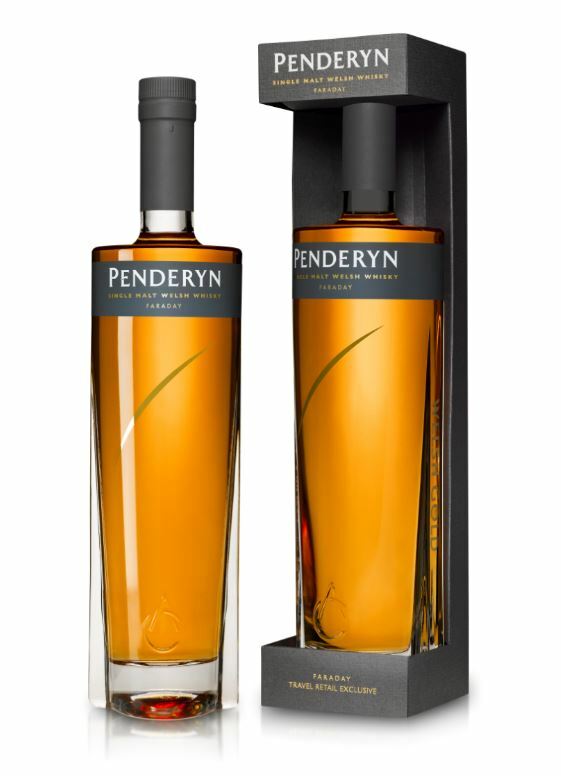 Penderyn Faraday is a 46% whisky and is presented in our bespoke Gold Range 70cl bottle which we launched last year. It begins life in ex-bourbon casks and is finished in ex-ruby port casks. It is named after our unique Faraday still (designed by Dr David Faraday when he worked at the University of Surrey) which produces a pure, flavoursome and fresh spirit at an industry high of 92%. As well as the above and our already extensive range in Cardiff airport we are also announcing an extension to the range in Bristol Airport to include Penderyn Madeira Finish (46% abv, 70cl), Penderyn Sherrywood (46% abv, 70cl), Brecon Botanicals Gin (43% abv, 70cl) and Merlyn Welsh Cream Liqueur (46% abv, 70cl). In 2018 alone Penderyn’s whiskies have won 13 Gold Medals from five International Awards based across the globe, and together with this new travel exclusive it’s truly an exciting time for our distillery as we take our award-winning whiskies and spirits from Wales to the world. Nose: Gently light Ruby Port with perfume of fruits, raisins and vanilla notes.